Part of their "Brass and Ivory" series, this setting of three beloved angel carols, "Gloria," "Mendelssohn," and "Regent Square" are given Ruthie Schram's delicate, deft arranging touch. Arranged for traditional brass quintet plus piano, but flexible with optional 3rd trumpet and 2nd trombone parts to replace horn and tuba if needed. For Trumpets 1 & 2, F Horn or Trumpet 3, Trombone 1, Trombone 2 and/or Tuba, and Piano. Drawn from the long-running periodical from Lorenz entitled "The Church Pianist," each volume of "The Church Pianist&apos;s Library" contains ninety-six pages of music that is satisfying to play but technically accessible and in a handy spiral-bound format. The music is linked to the church calendar, and each piece is timed to help you plan ahead. 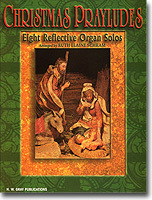 With songs for Advent, Christmas, Epiphany, Thanksgiving, and General use, this volume will be an instant boost to your repertoire at a very reasonable price. Lorenz's popular "Hymns We Love" series has already explored Gospel songs, carols, and spirituals; this time our team of arrangers has focused on "classic hymns" - those perennial favorites whose tunes and lyrics transcend the boundaries of time. 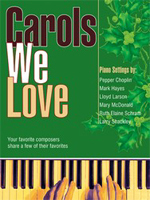 This book is filled with fresh ideas for church services and recitals, and, as in previous volumes, each arrangement is preceded by an introduction from the arranger with background on the hymns and personal insights. 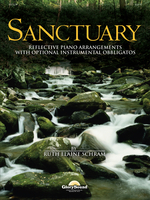 Arrangements by Ruth Elaine Schram include: "How Firm a Foundation" and "Fairest Lord Jesus." Moderately Difficult. Ruth Elaine Schram gives this classic hymn a bold and triumphant treatment for the "Brass and Ivory" series. The timeless melody will resonate with instrumentalists and congregations, while the supportive piano accompaniment enables musicians of varying skill levels to play with confidence and strength. An exciting arrangement that will be played and enjoyed for many years to come!